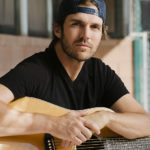 Barry Zito is an American former professional baseball pitcher and musician. He played 15 seasons in Major League Baseball (MLB) for the Oakland Athletics and San Francisco Giants. His pitching repertoire consisted of a curve ball (his strikeout pitch), a four-seam fastball, a two-seam fastball, a circle change up, and a cutter–slider. Zito attended the University of California, Santa Barbara, Los Angeles Pierce College, and the University of Southern California. Drafted three times while in college, Zito signed with the Athletics when they chose him in the first round of the 1999 MLB draft. "Meyer and I have a bit in common because we’re both left-handed. I think it’s great that he seeks out that advice because he’s not too cool or too uncomfortable to ask for it."